Copeland founded a design and marketing firm, and developed award-winning packaging, marketing materials, and logos for more than 50 leading corporations. He designed 27 U.S. postage stamps, one Canadian stamp, and one for the United Nations. 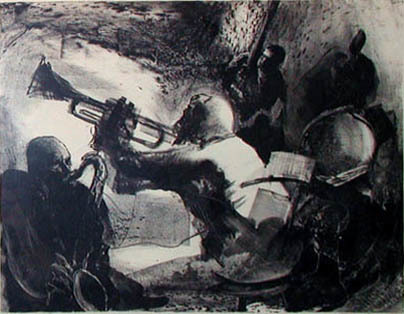 The first president of the Famous Artists School, he was also a painter, who focused on portraits of jazz greats. Copeland, Arnold, “Jam ,” Westport Public Schools Digital Collections, accessed April 25, 2019, https://collections.westportps.org/items/show/525.